Styled with atmosphere skirt and youth knee high . 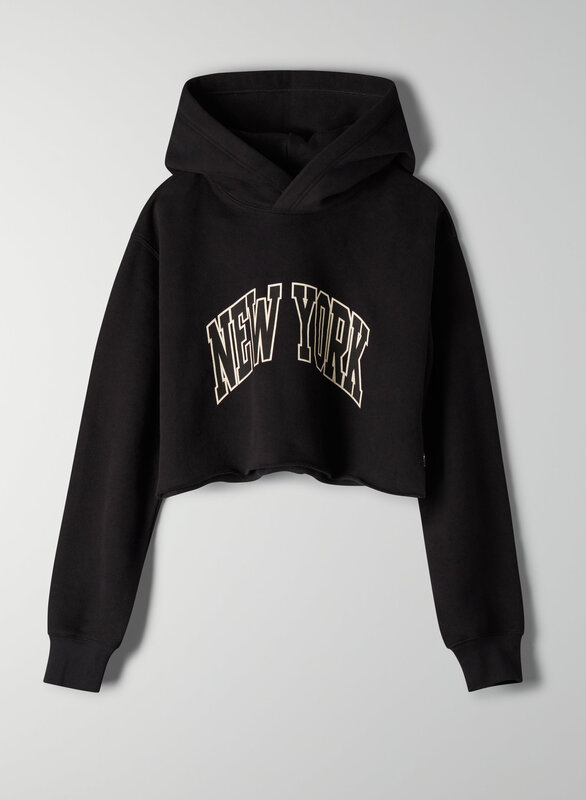 This is a cropped version of The Perfect Hoodie. It's made with Tna's Classic Fleece — a signature fabric that's been brushed for added softness. The hood is designed to keep its shape and sit perfectly on your neck and shoulders.